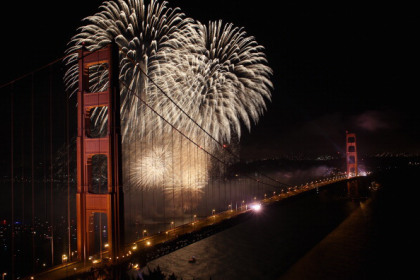 After a celebratory week in San Francisco with the Supreme Court ruling on DOMA and the termination of Proposition 8, last week promised to bring even more festivities as the city observed Independence Day. While many San Franciscans may have been deciding where to catch the best view of the fireworks show or what to serve at gatherings of friends and family, some residents of the Tenderloin community had other concerns regarding the national holiday. To get a better understanding of some of the community perspectives, GLIDE Emerging Leader interns Gabi Mehta and Susan Tuberville strolled through the neighborhood streets to chat with residents about their thoughts on the day. We found that a walk through the Tenderloin never disappoints. It’s true that any visitor to these streets is likely to witness drug deals, fights, and heartbreaking scenes of the poor and marginalized making a home of the Tenderloin sidewalks. However, every conversation we had with each resident was incredibly enlightening. Every discussion resulted in either painful, yet key realizations or surprising hope. We returned to the safe haven of GLIDE’s communications office with some weighty information to process. Other answers carried less enthusiasm and most echoed feelings that resulted from centuries of slavery, racism, and discrimination in this country. One resident responded, “It’s just White Independence Day.” Another explained that he refused to celebrate the independence of a population that kept his people enslaved for so long. Others reflected on the hardships they have faced in this country, such as growing up in a broken foster care system, being crippled by unemployment, or being cast aside by society during times of their greatest need. To these residents, the Fourth of July represents the celebration of a nation that continues to betray them while favoring the prosperous and privileged. They communicated perceptions of Independence Day as a day where rich and privileged people party and set off fireworks while they are cast aside from the very society claims to be their own. What we love most about the Tenderloin community is that one can always detect, when looking closely, a trace of optimistic expectation for a different tomorrow. There is still hope residing in the individuals that make up this community of marginalized people. We saw hard evidence of this in our research on Wednesday. While most people we chatted with acknowledged feelings of sorrow, some responses suggested ways to alleviate some of that internal hardship. 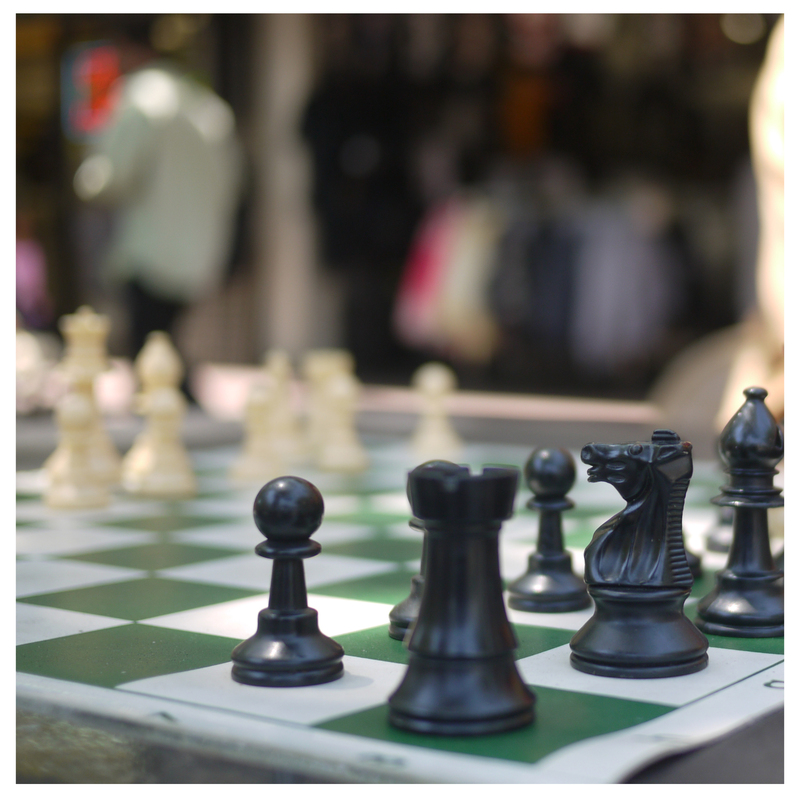 One man who had taken a break from his sidewalk chess game explained his belief that celebrating the people we love and fostering our relationships are the most important things in life. He believed that we should spend the Fourth of July reflecting on love and spreading it rather than spending money on fireworks and celebrating a day that is not a happy one for every population within our society. We were even given some advice on mending relationships in our own personal lives! One man confessed to us near the end of our discussion that we had taken him out of his present state of mind and caused him to reflect on parts of his life he had shoved beneath the surface. One can only conclude that communicating with people we are encouraged to dismiss on the street can lead to important healing for both parties. GLIDE is a perfect example of this sort of mutual acceptance and healing and we hope to be able to spread that love to as many people we can reach in our time here. Another person, while noting that Independence Day symbolizes to him the division of two nations, suggested that we could take the holiday as an opportunity to focus on unity. Most people we talked with, despite feelings of sorrow evoked by our discussion, had ideas and a hope for a different way of approaching the hardships they may be experiencing. This man reminded us that independence would always stem from conflict and that we as a human race should be more concentrated on peace. With yet another example of unique perspective from the community, the Tenderloin never fails to surprise us with the constant unveiling of new paradigm shifts! The responses of pain and betrayal we received that day further confirmed our existing feelings of brokenhearted outrage regarding the hardships residents of the Tenderloin face every day. And yet, seeing that beautiful human tendency to preserve some form of optimism in the face of hardship fills us with such unbelievable hope for this community. That’s why we love GLIDE and the work they do: GLIDE doesn’t dwell in the bleakness of present circumstances, but always moves forward, fueled by the hope of change and healing. 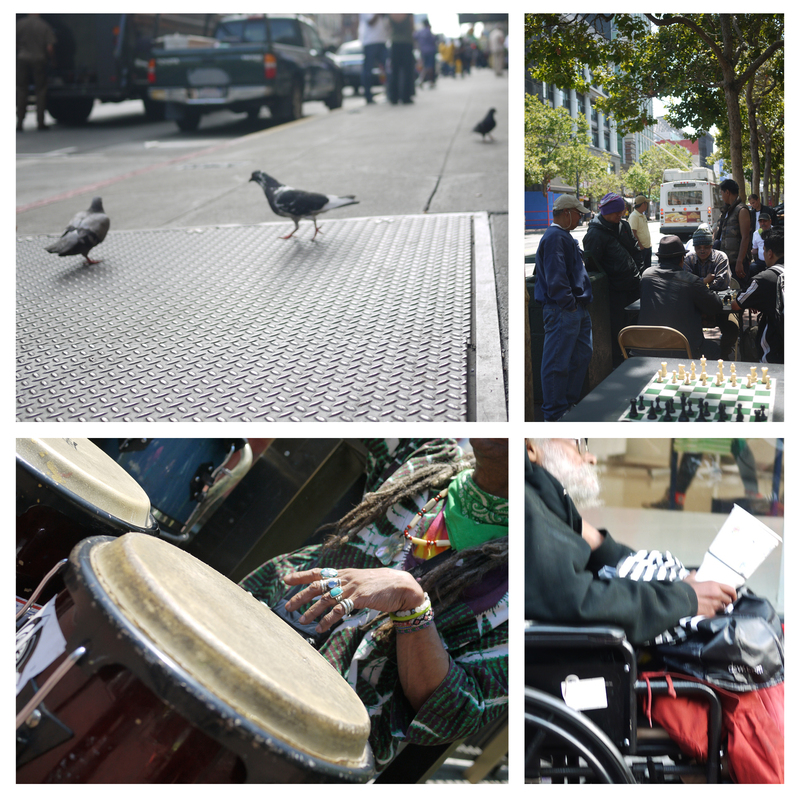 Stepping outside of GLIDE’s doors allows us to see that this hope can be found and spread throughout our community. That hope is what the Fourth of July represented to us this year. 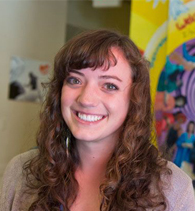 Susan Tuberville is an Emerging Leader intern from Memphis, Tennessee and is majoring in art education at Birmingham-Southern College in Birmingham, Alabama. She hopes to pursue a career working toward justice and compassion for the marginalized and is grateful for the growth and learning opportunities that GLIDE has provided. 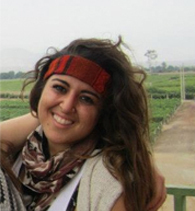 Gabi Mehta is an Emerging Leader intern who grew up in the North suburbs of Chicago. She just recently graduated from her undergraduate coursework with a Bachelors of Science in Sociology from Illinois State University and hopes to open the minds of those she works with to better understand marginalized populations and thus continue GLIDE’s trailblazing work in the non-profit industry.